Tohu Wines, Ltd. is the world’s first wine company owned by the Maori, the indigenous people of New Zealand who arrived in New Zealand over eight centuries ago. They are said to share an anthropological relationship with the Polynesians. 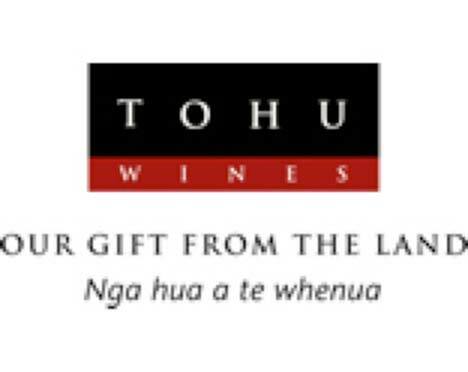 Tohu (pronounced “Tor-who”) is managed by three Maori tribal groups (Wi Pere Trust, Wakatu Inc and Ngati Rarua Atiawa Iwi Trust), and is the only indigenously produced New Zealand wine being exported to the United States (Total Beverage Solution & Vino Importers, Mt. Pleasant, SC). The Tohu vineyards are located in Gisborne, Nelson and Marlborough. All the vineyards are certified by Sustainable Winegrowing in New Zealand. A full range of wines is produced including Sauvignon Blanc, Riesling, Chardonnay, Pinot Gris and Pinot Noir. There are two Pinot Noirs - a Marlborough appellation wine and Rore, a reserve. The Rore Marlborough Reserve Pinot Noir won a Gold Medal and Top of Class award at this year’s London International Wines and Spirits Competition. The winemaker is Simon Waghorn and consultant viticulturalist is Dr. David Jordan, both leaders in their respective fields. Production has increased from 3,000 cases in the first vintage of 1998 to 60,000 cases in 2007. It is predicted that by 2012, production will be 140,000 cases per year. Sales of Tohu wines have been fueled by the fascination global markets have with the indigenous Maori culture. The website is www.tohu.co.nz.